Unfortunately, the Welcome Center part of the North Carolina Welcome Center was closed. No brochures for me. 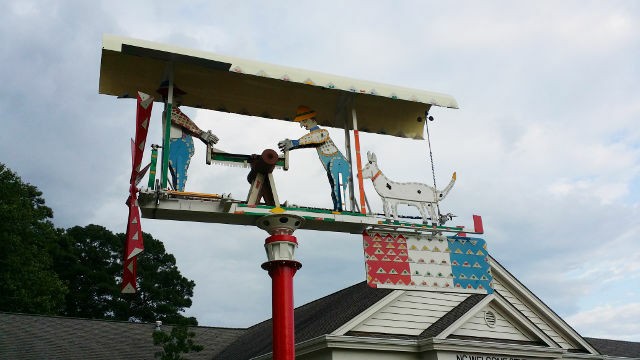 But I did enjoy this giant folk-art weathervane (pictured above). The folks hanging out at the Welcome Center seemed like tourists. Lots of jorts (cuffed jean shorts). Lots of people walking their miniature dogs. Thankfully no grifters — the “we need $20 to get back to Erie Pennsylvania” routine gets old quick (I’m talking to you Maryland).